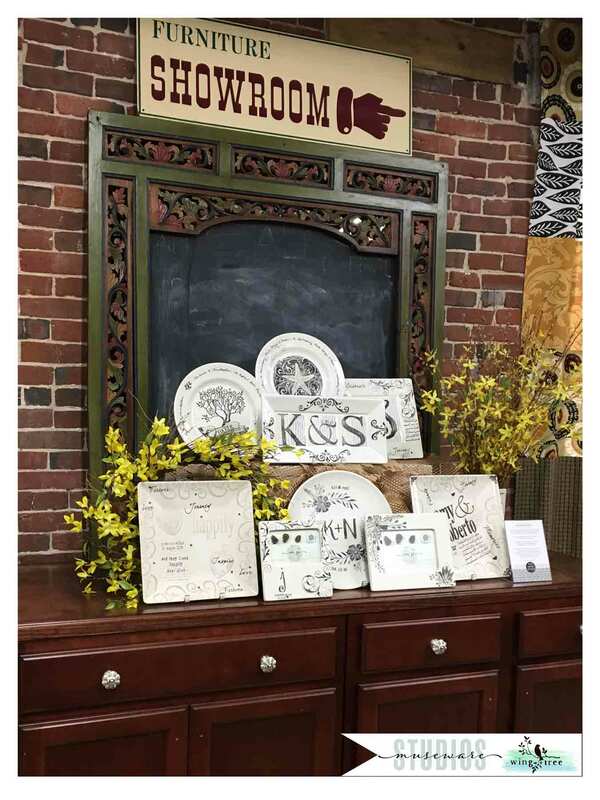 Museware Studios is carried by upscale brick and mortar Gift Shops, Craft Galleries & Stationers nationwide. Each piece is hand painted to order and ships in 14 days. 7 day Rush Production is available. We drop ship to the 48 contiguous states, with no additional drop-ship fee. Our newest line, Wing + Tree, features shiny, colorful handcrafted decoupage glass trays designed to celebrate all phases of life. To learn more about becoming a Museware Studios Retailer, please complete and send our wholesale application by clicking the link below. We will contact you. Existing wholesale users: Log into your account by clicking Sign in at the top right corner of your screen.